These are uncertain times. Australia’s voters have expressed concern that Malcolm Turnbull is waiting till after the election to rip off a mask to reveal that he is really Tony Abbott, and even more concerned that after the election Bill Shorten will rip off his mask to reveal that he is really Bill Shorten. That is why The (un)Australian believes only one man can be trusted to grab hold of the tiller and navigate the good ship SS Australia McAustraliaface through these troubled waters. A man with a great big cowboy hat. 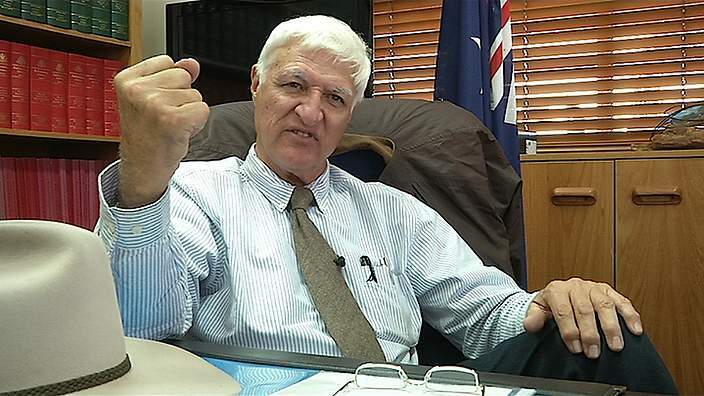 Bob Katter. With Donald Trump charging through the US political landscaper like a crack crazed orangutan, Vladimir Putin greasing up his chest and wrestling bears, Nigel Farage plunging Britain into post Brexit chaos and threatening to take the rest of Europe with him, Hindu nationalism on the rise in India and China attempting to take over the world by stealth by building stepping stones across the Pacific Ocean it’s essential that we choose a leader in step with the gibbering madness of the age. Sure, that bloke in charge of New Zealand seems kind of sensible but in real countries the lunatics have well and truly taken over the asylum seekers. As we enter the era of post cognitive thinking we may as well have fun until the robots come to ultimate power. So when you enter the polling booth tomorrow don’t waste your vote on someone with coherent policies and an ability to communicate by more than pointing at pictures on cards. Choose the bloke who shoots people dead in his campaign ads and even Queenslanders think is a little out there. It’s time for the mad Katter’s tea party to commence.